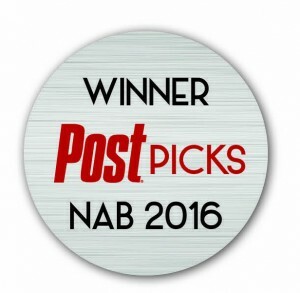 We're back from a fun and busy NAB and excited to discover that Continuum Complete 10 has been picked as Post Magazine "Post Picks" for NAB 2016! 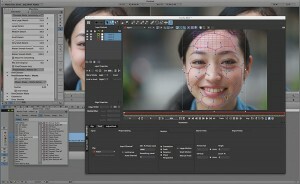 Boris FX launched Boris Continuum Complete 10 (pictured, left) for Adobe Premiere Pro CC and After Effects CC at NAB 2016, along with Boris Continuum Complete 10 for Avid. The new package is a thorough collection of professional plug-ins for Adobe Creative Cloud video applications. Highlights include integrated Mocha technology for advanced masking and effects isolation; BCC Beauty Studio, a skin smoothing and retouching filter; and BCC Title Studio, Boris FX’s next-generation 2D/3D titling and motion graphics plug-in. The recent merger between Boris FX and Imagineer brings two development teams together for the largest Adobe targeted plug-in release in the company’s history. Now, Adobe Premiere Pro CC editors now have the ability to access mocha tools from their timeline. Features in BCC 10 for Avid include: integrated Mocha technology for planar motion tracking and masking, BCC Beauty Studio and BCC Title Studio.The company is now also offering BCC 10 for OFX which now supports Resolve & Sony Vegas Pro. It includes BCC Beauty Studio and BCC Title Studio, Image Restoration tools and more (integrated mocha technology coming soon). Find out who else won.